This entry was posted in Web links on May 31, 2009 by Links. Mr. Squirrel discarded what looks to be a walnut shell next to a tree in my backyard. Where is there a Walnut tree around here? Pecan, sure. But Walnut? Around my neighborhood?! This entry was posted in Interesting on May 31, 2009 by Mark. 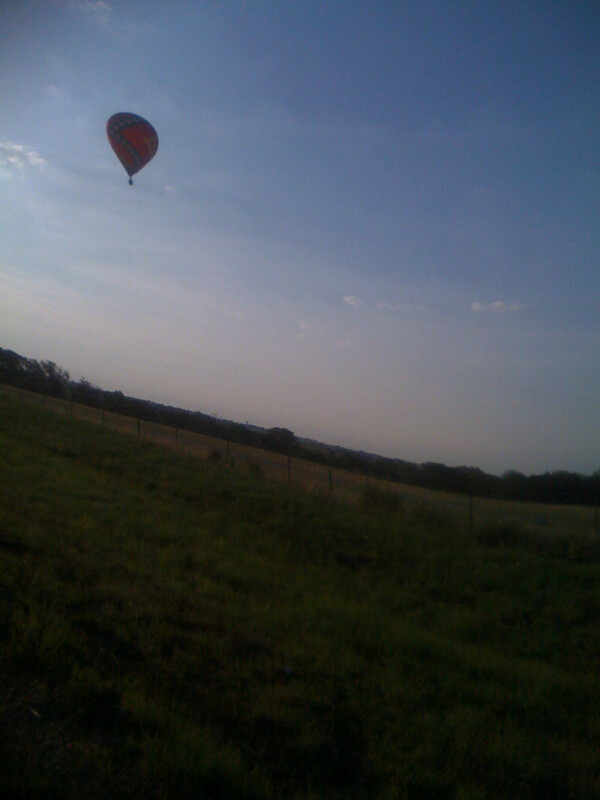 During my morning bike ride, there were four hot-air balloons in the sky! 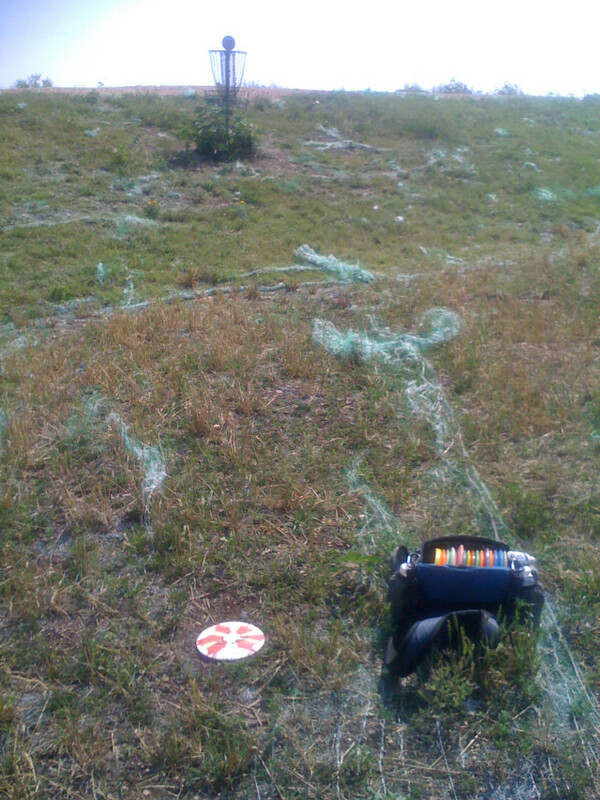 And by the time I made it to Chandler and 1460, it looked like they were going to land in one of the fields. There were four support vehicles waiting on the side of the road. One balloon was coming down before me. But it looked like they were aborting the landing? The gondola was tilted at a crazy angle and the burner was on full. I didn’t stick around to watch what happened next though. I played at OSPW. And had a great day. Two back-to-back birdies on holes 2 & 3. 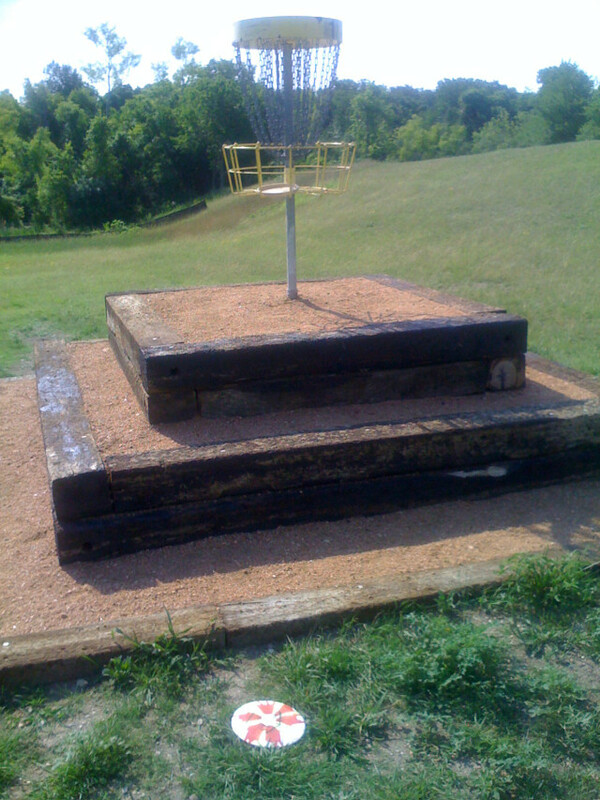 And on hole 17 as well. Unfortunately, I also got 4 bogeys. 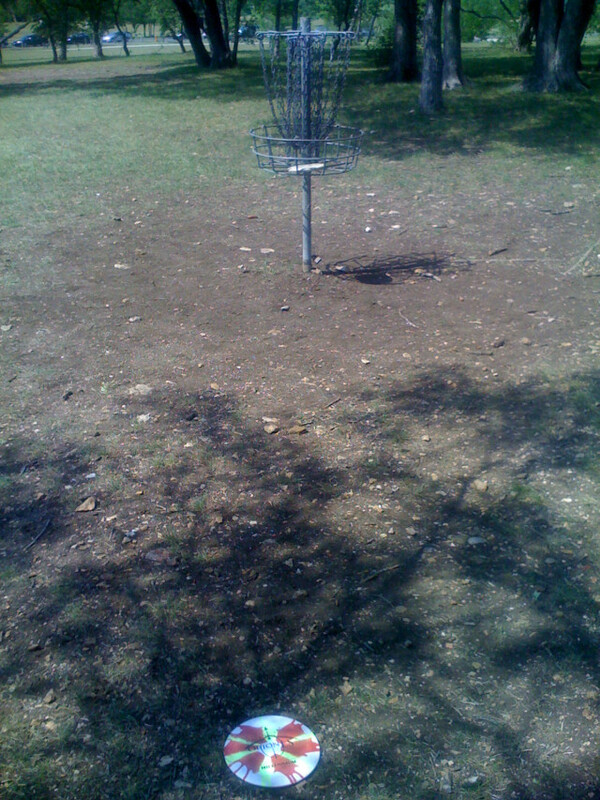 So I ended one over par. 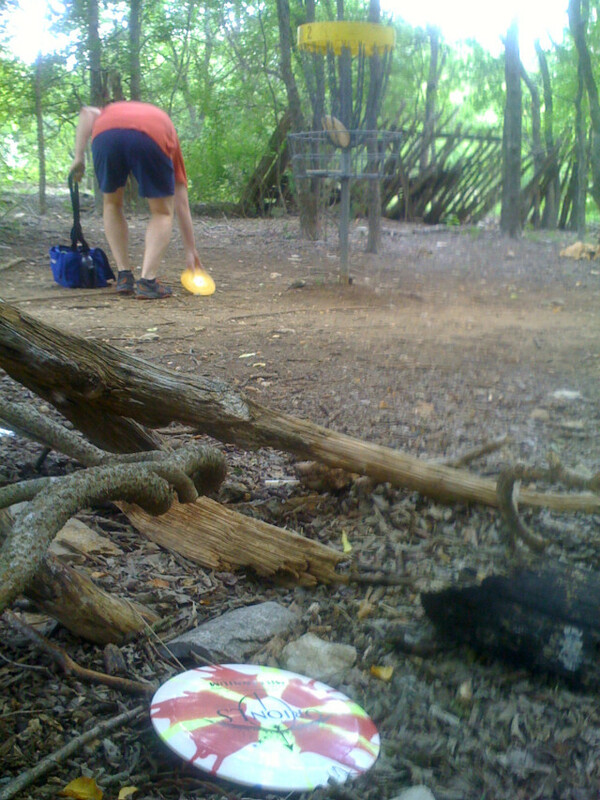 This entry was posted in Disc Golf on May 30, 2009 by Mark. I made Dulce de Leche again. I started with a gallon of whole milk, two cups of honey and two cups of sugar. I reduced it down for hours until it was dark and jelly-like. It turned into about 2 1/2 pounds. 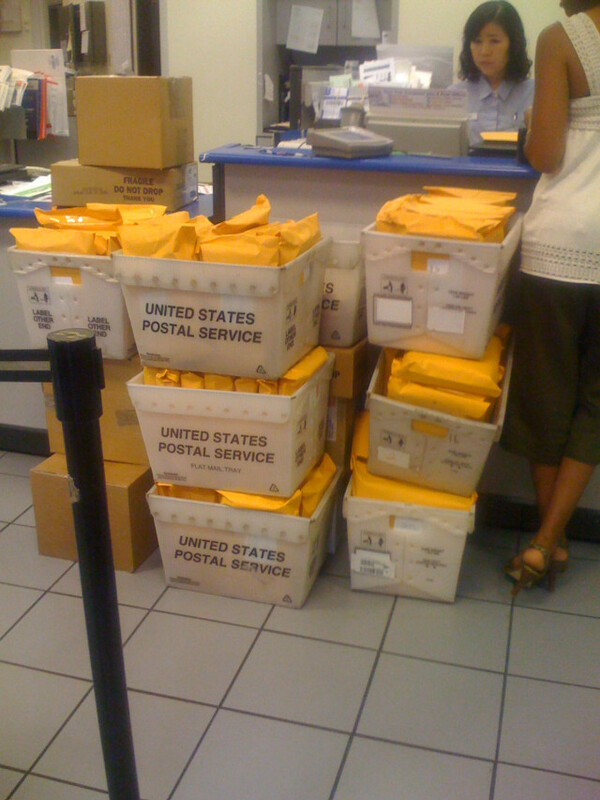 Which is a lot of dulce. I made a bowl of oatmeal. I then fried up a ripe plantain banana, and put a tablespoon of dulce in it. Mmm, good. This entry was posted in Cooking on May 28, 2009 by Mark. 2 lanes of northbound traffic on IH-35 were shutdown this morning when someone crashed into a truck painting lane stripes. This caused severe paralysis. The onlookers going southbound brought that direction to a standstill as well. I thought that I could just take surface streets south to 620 and past the problem. However, that proved problematic. My first mistake was taking Old Settlers road west. The only north/south road before IH-35 is Mays and that is only a couple of hundred feet away. Traffic was already backed up way before I could turn on Mays. 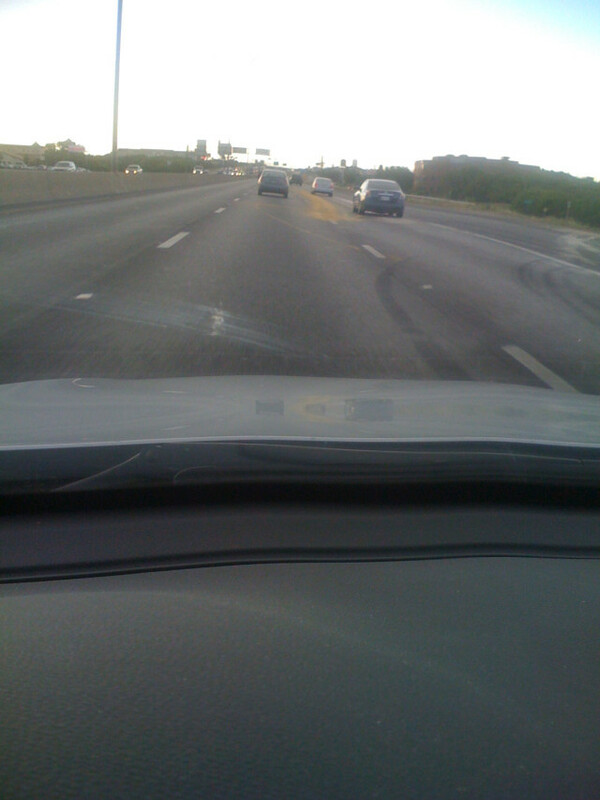 Then there was construction on Mays and 79 that took away a couple of lanes. 79 going west was already stopped. And I missed the traffic light because people had blocked the intersection instead of waiting for the next light. Sigh. 620 was not that good either. But I finally made it to the highway and into work. Only 30 minutes late for my department meeting. There is just no good solution for times like these. A fatal flaw in where I live, apparently. This entry was posted in Interesting on May 28, 2009 by Mark. 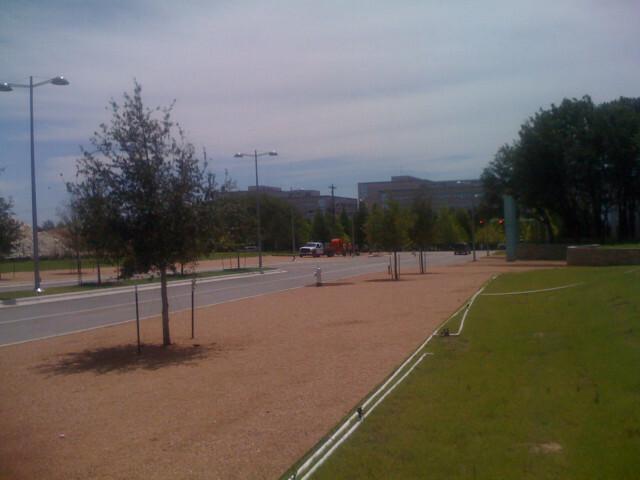 The entrance to the Domain across the street from IBM finally opened up a couple of months ago. And I just got around to walking over to eat lunch at the Domain. Man, you can hardly tell that this was once an IBM site. As more time progresses, the visual clues will become less and less. There are still some mounds of grass covered dirt around. But I am sure that they will be gone eventually. One annoying thing is the complete lack of sidewalks around here. Aren’t there building codes that demand that sidewalks be built?! I tried making fresh dough this time. I poured some hot tap water into a cup and then weight it (280 grams). I poured the contents of one yeast packet in and one tablespoon of sugar. I then measured out 80% of the water’s weight for the flour (224 grams). Giving it a hydration percentage of 125%. I let it go crazy on the counter for a couple of hours and then put it in the refrigerator overnight. Around 4pm the next day I was ready to make the dough. Man, it smelled strongly of alcohol! Too much yeast at the start for sure. I added 233 grams more flour to bring the final ratio to 5:3 and the final hydration to 60%. I like the new regulator in the grill. The temperature now gets up to 800 degrees Fahrenheit. Which brings the cooking time down to 5 minutes. This entry was posted in Cooking on May 25, 2009 by Mark. 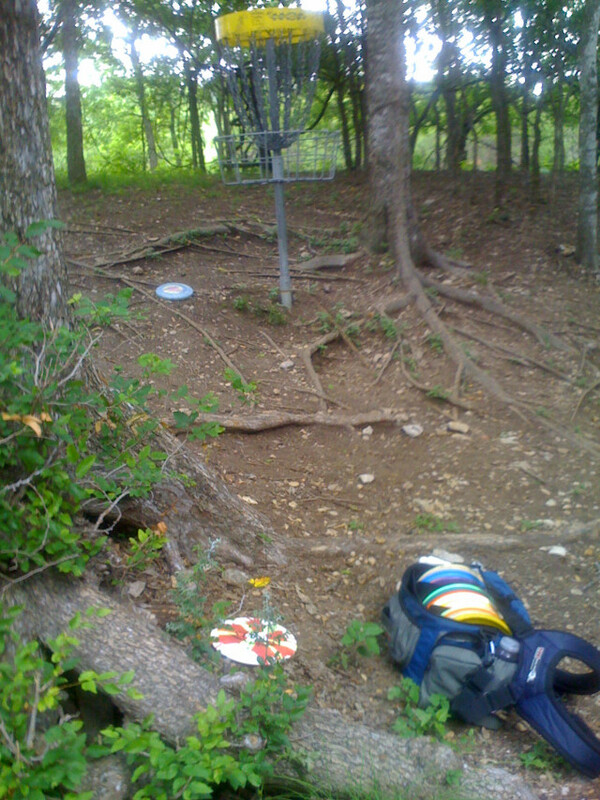 This entry was posted in Disc Golf on May 23, 2009 by Mark.